Described in a cover article in the journal Applied Physics Letters, which is from AIP Publishing, the 322 micron-long robots consist solely of a head coated in a thick cobalt-nickel layer and an uncoated tail. When the robot is subjected to an oscillating field of less than five millitesla – about the strength of a decorative refrigerator magnet – it experiences a magnetic torque on its head, which causes its flagellum to oscillate and propel it forward. The researchers are then able to steer the robot by directing the magnetic field lines towards a reference point. Islam Khalil designed the MagnetoSperm microrobots along with Sarthak Misra and colleagues at MIRA-Institute for Biomedical Technology and Technical Medicine at the University of Twente. "Nature has designed efficient tools for locomotion at micro-scales. Our microrobots are either inspired from nature or directly use living micro-organisms such as magnetotactic bacteria and sperm cells for complex micro-manipulation and targeted therapy tasks," Dr. Sarthak Misra (principal investigator of this study, and an associate professor at the University of Twente) said. "As technology progresses and many products get smaller, it becomes difficult to assemble objects on nano- and micro-scales," Dr. Islam Khalil, an assistant professor of the German University in Cairo, said. 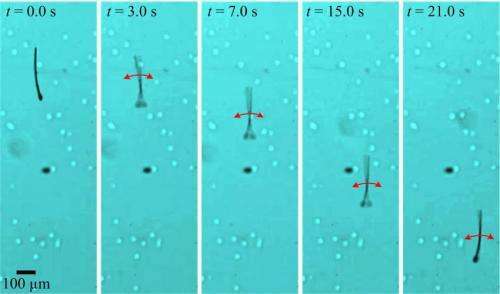 "MagnetoSperm can be used to manipulate and assemble objects at these scales using an external source of magnetic field to control its motion." In addition to nano-assembly, the radical downsizing afforded by the offloading of power and navigation systems opens up a wide range of biomedical tasks that MagnetoSperm can perform, Khalil said. These include targeted drug delivery, in vitro fertilization, cell sorting and cleaning of clogged arteries, among others. The microrobot was made by spin-coating onto a silicon support wafer a five-micron layer of SU-8, a polymer chosen for its ease of fabrication and mechanical stability. The cobalt-nickel layer was then added to the head by use of electron beam evaporation. In the future, the researchers hope to further scale down the size of MagnetoSperm. 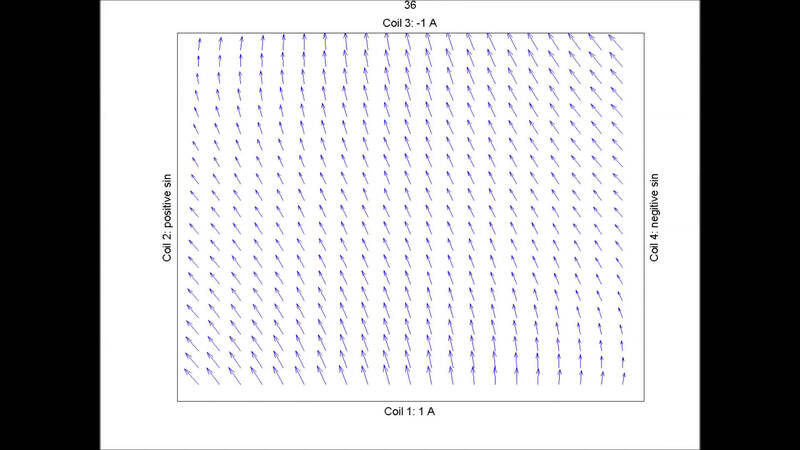 The team is currently working on a method to generate a magnetic nanofiber that can be used as a flagellum. Argonne scientists design self-assembled "micro-robots"